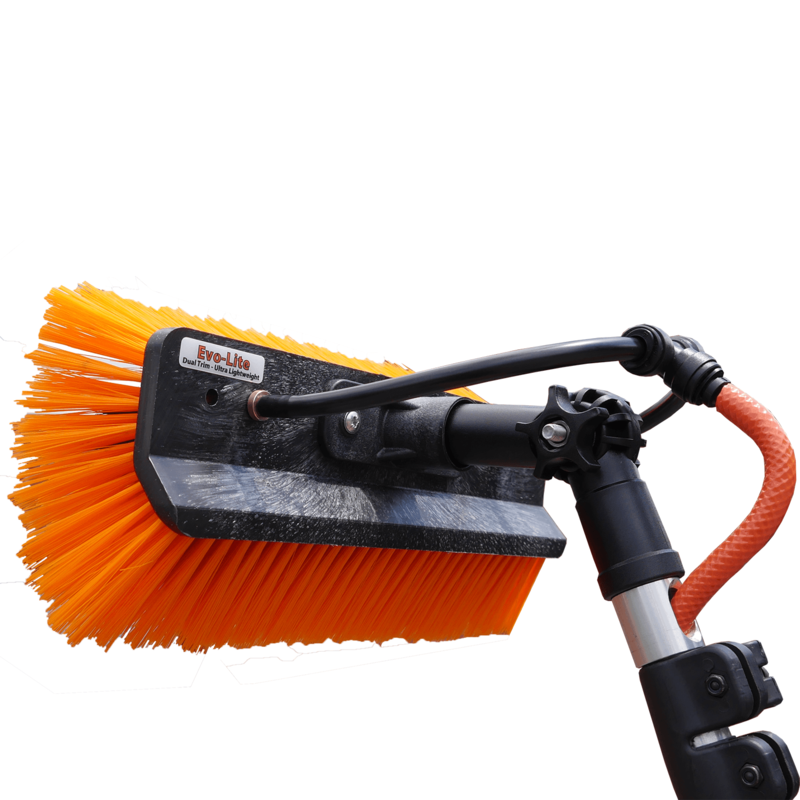 Designed to clean the glass, frames and the window sills - 26cm (10 inch) Mono Dual Trim Water Fed Sill Brush, weighs only 293g's. The Evo-Sill water fed brush has been specifically designed for the professional window cleaner. Absolutely faultless brush head. Having used 2 on these in 2 years. Only reason for second was for my own pole as left company. Best brush I've used in 14 years. The bristles keep their shape which I've found most others lose, amazing at removing stuck on bird mess, as the inner bristles are stronger. I use the fan jets, which give the best pressure and fan of all the jets I've used and are brass so don't snap.